Doron is the Electric Vehicle Program Manager at the Center for Climate Protection, to advance practical, science-based solutions for significant greenhouse gas emission reductions. He previously held senior positions at the Solar Living Institute, Conservation Strategy Fund, ZAP Electric Vehicles and The Burning Man Project. He holds a BA in Environmental Studies and Politics and a MA in Energy and Resources from UC Berkeley. Bob, Community Development Director, City of Novato, has a decades-long career in Planning and Sustainability throughout the Bay Area. As Sustainability Coordinator for San Rafael, he authored the Climate Action Plan and one of the most stringent green building ordinances in the nation. He taught Sustainable Practices at Dominican University, and holds a BS in Environmental Biology, University of Santa Clara and a Masters in Urban and Regional Planning, San Jose State University. Marian has been named one of 50 top executive coaches, is the award-winning author of Wake Up Inspired, and has spoken at Google, Kellogg, University of Chicago and more. Her integrative business model is informed by working with growth-edge leaders since 1996, exploring what it really takes to unleash the best of human potential for a new paradigm of healthy, sustainable success. Will is co-founder and co-owner of Sonoma Compost and Project Manager at Renewable Sonoma. He is a preeminent soil scientist who has devoted his life to advancing the composting industry. 37 years of experience and expertise in all aspects of composting. Will also is known for his educational outreach giving workshops on composting, soil health and carbon farming. He is the adjunct instructor at the Santa Rosa Junior College for the Agricultural Composting Class. Kevin is a Senior Financial Fellow for Project Drawdown, Worker/owner of LIFT Economy, helping develop the Next Economy, where business is a means to enhance all life. Instructor in Urban Permaculture Design at UC Berkeley, he works at the intersection of ecology and economy where permaculture design meets cooperative organizations striving for social, environmental and economic sustainability. President and CEO of CalStart, John works with business and the public sector to develop and implement clean, efficient transportation solutions. John serves on the Advisory Board for the Precourt Energy Efficiency Center at Stanford University and is a board member of the Clean Vehicle Foundation. A graduate of UC Davis, he received his MBA from the Haas School at UC Berkeley in 1989. 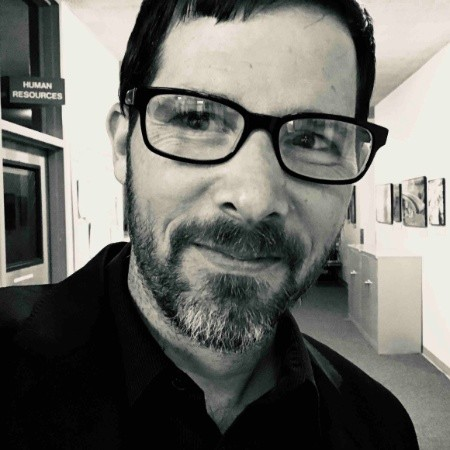 As the Sustainability Coordinator for the City of San Rafael, Cory works with the City Sustainability Team to realize the vision of the City’s Climate Change Action Plan (CCAP). He is the chair of the San Rafael Clean Campaign, an anti-litter and recycling education and advocacy group in San Rafael. As a member of the City’s Emergency Operations Center, he developed and continues to manage the City’s Emergency Volunteer Center, coordinating unaffiliated volunteers during local disasters. Supervisor Connolly has protected open spaces while increasing the availability of affordable housing. He has set our county on a path toward 100% renewable energy while keeping our fiscal house in order, and has spearheaded our response to homelessness, expanded access to public transit and infrastructure for bicyclists and pedestrians. He is President of the Marin County Board of Supervisors, and President of the Workforce Alliance of the North Bay, and helps oversee the Marin County Flood Control and Water Conservation District, Marin County Housing Authority, and Marin County Open Space District. He is Marin’s representative on the Metropolitan Transportation Commission. Jeff is co-founder of the Marin Carbon Project and a Director at the Carbon Cycle Institute, where he provides senior leadership on carbon farming and land management. He is an agricultural and rangeland consultant and Natural Resources Conservation Service certified nutrient management planning specialist. He holds a PhD in Rangeland Ecology and is a California State Board of Forestry Certified Rangeland Manager. Mollie is the Policy Director for the 3 Revolutions Future Mobility Program at the Institute of Transportation Studies at UC Davis. Her work includes environmental policy, community development and transportation planning. She worked with the California League of Conservation Voters, the City of Oakland’s Department of Housing & Community Development, and with the Alameda County Transportation Commission. She is leading the way in ensuring the three transportation revolutions (vehicle automation, sharing, and electrification) maximize environmental and equity benefits. Cyane is the Founder and Executive Director of Strategic Energy Innovations (SEI), as well as the School of the Environmental Leadership (SEL). Over her 30 plus years of experience, Cyane understands the big picture of how communities lack access to energy efficiency services, clean technology, and real-world sustainability pathways. Cyane utilized her entrepreneurship and knowledge of innovation in the built environment to bring climate solutions to the community level. By connecting students, residents, government officials, and the workforce in the design process of sustainability programs, she believes we can better pinpoint opportunities for communities to reach their goals. Ann is a leading international expert on zeroenergy, efficient green homes. Founder and principal of Design AVEnues LLC, Ann consults with builders, developers, homeowners, supply chain clients, design firms, investors, utilities, public agencies, and nonprofits — from local to international organizations. Edminster’s award-winning 2009 book, Energy Free: Homes for a Small Planet, is a comprehensive guide for designers and builders seeking to create zero energy (ZE) homes. Dr. Ford serves dual roles as Lecturer of Sustainable Strategy in the School of Business and Economics at Sonoma State University, and Director of Bio-Regional Development for Sustainable North Bay. At the intersection of these roles, she leads the North Bay Forward Initiative focused on Systemic, Place-Based Planning for a Sustainable, Resilient Future. Jim leads Labcon in the concept of engineering “eco-efficient” operations and environmentally friendly products. He has also led Labcon to a number of patents, category-leading products, and partnerships with companies who embrace a sustainable vision. In 2010 Labcon purchased their Petaluma facility and installed an 800kw solar array which produces 30% of the company’s power. Labcon currently manufactures 6 million pieces per day with 35% of the products being exported to 57 countries. Bob is a principal at JHS Properties, a San Rafael based real estate firm that owns and manages commercial properties in the Bay Area. Since 2004, Bob has built over 3 megawatts of solar energy facilities at company properties, including the 1st ever CCA Feed-In-Tariff project for MCE at San Rafael Airport. Doug is the Policy Director for the Clean Coalition. He is working to develop and promote cutting edge policies and market structures to accelerate the deployment of clean renewable energy solutions to our energy needs. He works with a range of stakeholders and experts to create new solutions and work to implement these with regulatory bodies and legislators nationwide. Marc is a CEO, executive coach, and Zen teacher. He has led mindfulness trainings for leaders worldwide, at Google, SAP, Twitter, and Kaiser. He served as CEO and co-founder of the Search Inside Yourself Leadership Institute and is author of Seven Practices of a Mindful Leader: Lessons From Google and a Zen Monastery Kitchen. Danielle is the Manger of Community, Worksite and Employee Wellness at Kaiser Permanente San Rafael. She leads initiatives around healthy lifestyle programs, employee engagement and creating a culture of wellness. Danielle holds a master’s degree in Clinical and Community Psychology from Johns Hopkins University and specializes in health behavior change. She is a licensed professional counselor, member of the Motivational Interviewing Network of trainers and has a Chronic Care Professional (CCP) certification from the Health Sciences Institute. Scott McDonald works at the Transportation Authority of Marin (TAM) as the agency’s Senior Transportation Planner. His work supports Marin County employers and employees through programs and outreach regarding alternative transportation options including transit, vanpools, ride sharing, biking and walking, along with electric vehicles. 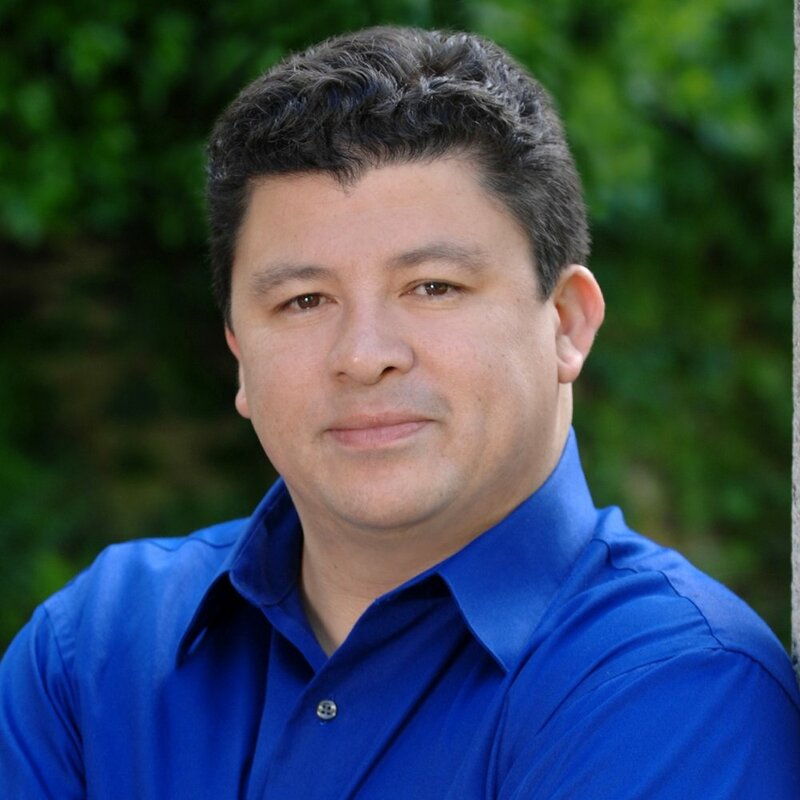 Alejandro is Cofounder & VP Marketing/Operations at VenturePad; SEC conference organizer and advisory board member, & co-chair of the CleanTech Summit & Finance Your Business Summit. Polyglot with a greenMBA in Sustainable Enterprise (wine industry focus), Dominican University; B.A. in Int’l Relations, UC Berkeley; post-grad Specialization in International Business, Universidad EAFIT, Colombia. A Marinite for 41 years, he previously led marketing & operations with Marin’s former leading accelerator Venture Greenhouse. Sara is the founder and CEO of SVT whose mission is to "make it pay to do good": we work to make managing and reporting environmental and social impact a standard practice so that the financial markets will internalize the value of doing good. SVT Group is a CA Benefit Corporation and certified “Best for the World” B Corp.
Heather manages policy work and public grant funding support for Fibershed’s programs and producers. Heather has worked with a range of nonprofit, philanthropic and educational organizations over the past 20 years supporting sustainable and organic agricultural systems. Loren is owner Stemple Creek Ranch in Tomales where he oversees the entire ranching operation, with the goal of raising grass-fed and finished beef that is tender. In 2013, Stemple Creek Ranch was selected as one of three test cases for a 10-year study with the innovative Marin Carbon Project. After completing an initial soil assessment, organic compost was spread over a portion of our pastureland to help sequester the carbon in the soil. This beneficial practice helps retain moisture and nutrients that improve the growth of our natural forage. Mill Valley mayor Moulton-Peters was first elected to Mill Valley’s City Council in 2007 after serving as president of the West Blithedale Homeowners Association and as Chair of the City's Emergency Preparedness Commission. She is Mill Valley’s delegate to and chairperson of the Transportation Authority of Marin (TAM), a board member of Marin Transit and is involved with Safe Routes to Schools. As the Communications & Conservation Department Head and spokesperson for Marin Municipal Water District, Lon is the liaison to the media and keeps the board of directors,executives and senior leadership informed about news media and other issues at the state,regional and local levels. Ed directs the Regenerative Design Program within The Foresight + Innovation Lab, a collaborative advisory and creative agency working to build the New Regenerative Economy (NRE). The New Regenerative Economy (NRE) is a fundamental reframing of the conventional consumer economy. Prior to conceiving and launching the Lab in early 2017, Ed served for several years as a Research Affiliate at the Institute for the Future in Palo Alto, California, where he directed their program in The Future of Learning and Regenerative Future Economies. John W. Roulac is founder and CEO of RE Botanicals, the Pure Organic Hemp Apothecary brand. Governor Jerry Brown appointed John to serve on the California Department of Food & Ag’s Hemp Advisory Panel. A longtime advocate for healthy people and ecosystems, John is also the founder and chief visionary officer of the organic superfoods brand Nutiva. He has sourced and formulated close to $1B in retail sales of organic superfoods in the past 20 years.John has authored four books on hemp and composting, with combined sales of more than one million copies. He has founded four nonprofit ecological groups, including GMOInside.org. Supervisor Sears is Southern Marin's elected representative on the Marin County Board of Supervisors. A key initiative she is working on is planning for sea level rise and climate change in Southern Marin and the County of Marin. This work is a grassroots and grass-tops effort to understand the challenges, explore options and plan for a resilient future. Kate had a career in both the public and private sectors prior to being appointed by Governor Jerry Brown to the District Three Supervisorial seat in May of 2011. Kate was an attorney in private practice for 16 years before joining the Consumer Law Section of the California Attorney General's Office in 2005. John is a sustainable designer/developer, innovator in systems integration, and entrepreneur in the newly converging fields of real estate, renewble energy, and transportation. The ultimate goal of his work is Carbon Neutrality and GHG elimination within those 3 sectors. He has owned and operated his Design/Build and Development firms since 1986. With Off the Grid Design, John is leading the industry in the integration and development of Carbon Neutral Living + Transportation systems. Lead for Autodesk's newly formed Foundation - using the power of design to create a better world, Joe’s professional work lies at the nexus of design, impact, and technology. He leads Autodesk's efforts to support and connect those designers who are changing the world. As a global leader in 3D design, engineering, and entertainment software, Autodesk helps people imagine, design and create a better world. We leverage our broad portfolio of software and our depth of expertise to give architects, engineers, and designers the power to create business value while solving today’s most pressing challenges. Larry is a local Connector, Catalyzer, Communicator, Convener, Coach, and CoFounder. He's president of One Earth Enterprise, co-founder at Caring Circles and Healing the Waters, former president of Sustainable Novato, a steering committee member for Venture Greenhouse, former Board Advisor for the Sustainable World Coalition. Ted is Director of Sustainability for Guttmann & Blaevoet, has 17 years of experience using various energy analysis tools, modeling energy, comfort, and daylighting. He has extensive knowledge of various energy analysis software packages predicting energy use and developing energy conservation strategies. Ted and his team model Integrated Environmental Solutions (IES), to provide detailed life cycle cost analysis for both economic and environmental impacts. Ted is currently focused on Zero Net Energy buildings and their interaction with the grid systems, co-generation, and active storage systems for energy management. Gia is the ZEV (zero emissions vehicle) Infrastructure Project Manager at the Governor's Office of Business and Economic Development (GO-Biz), focused on accelerating the ZEV market to reach 5 million ZEVs on California’s roads by 2030, by collaborating with public and private partners to expedite infrastructure, and identify opportunities for business engagement and growth. Master of Environmental Science and Management, UC Santa Barbara. Brett finds, assesses, and manages new opportunities to serve MCE Clean Energy customers through pilot programs on the cutting edge of our energy transition, ensuring that no one gets left behind. He currently manages programs focused on expanding electric vehicle charging infrastructure, ensuring low-income residents can access electric vehicles, and demonstrating how distributed energy resources benefit MCE customers and our grid. Dr. Willis has worked as Epidemic Intelligence Service Officer for the CDC. As Marin County Public Health Officer he is really interested in how we organize to support the basics of health for everyone across the age spectrum, while protecting ourselves from harmful things like substance abuse. Our number-one status as healthiest county in California is exciting, but we have an even more important goal: when those health benefits extend to every community, we’ll really have something to celebrate. Cofounder of VenturePad—Marin's premier coworking, meeting and entrepreneurship center—Chris has chaired the SR Chamber's Green Committee, and served on the boards of MCL, nonprofits, and climate task forces. He has helped lead 6 tech and consulting firms in their early stages, including Autodesk and Survey Monkey. Chris has graduate degrees from Indiana University and the Presidio Graduate School. Abby is the Manager of the Bay Area Air Quality Management District’s Climate Protection Program, responsible for coordinating implementation of the Air District’s greenhouse gas-related work. During her tenure she has developed and overseen $7+ million in local climate protection grant programs, coordinated regional climate leadership summits, and developed technical guidance and assistance programs for local governments in developing and implementing climate action plans. Previously she was Director of the US Cities for Climate Protection Campaign at ICLEI – Local Governments for Sustainability. Alice is a Planner with the Marin County Community Development Agency's Sustainability Team and works on sustainability programs and initiatives that support the implementation of the County’s Climate Action Plan adopted in 2015. Additionally, she works to implement other Climate Action Plan measures that reduce greenhouse gas emissions from transportation, agriculture, and the built environment in Marin. She worked as a planner developing climate action plans and greenhouse gas inventories prior to joining the County in August of 2016. She received her degree in City & Regional Planning from Cal Poly SLO.